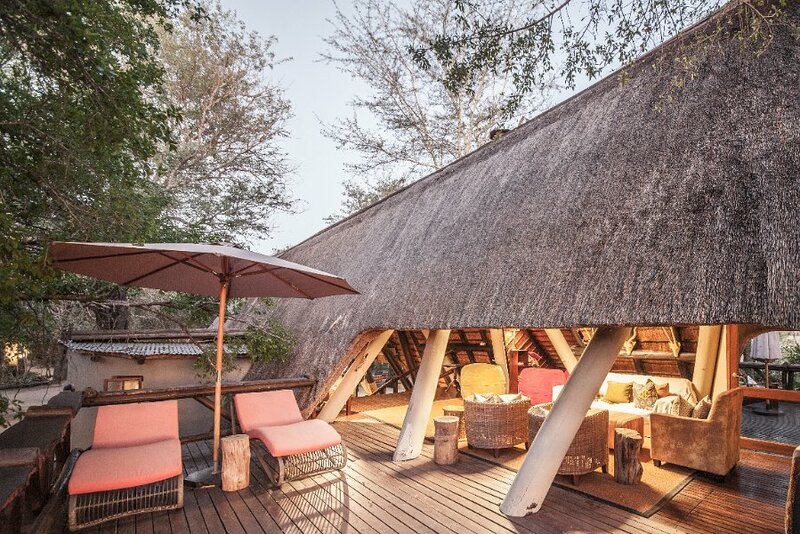 At Cheetah Plains Private Game Reserve, expect all five senses to be awakened by your African bushveld experience – bush buck and nyala roam freely among the chalets. 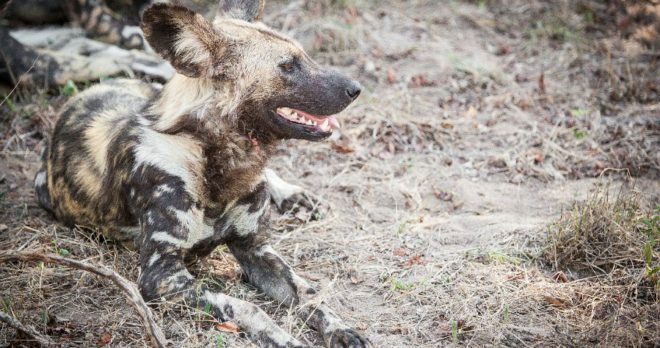 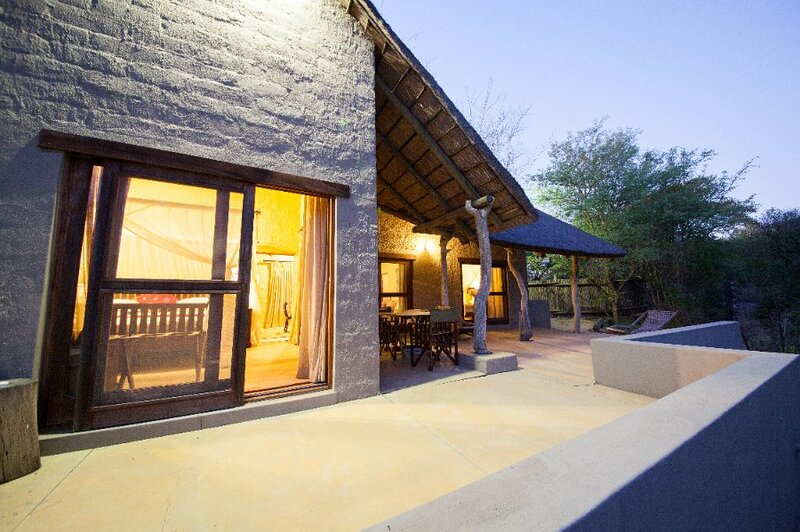 You might hear the sound of lion, hippo, hyena, jackal and more calling out across the bushveld at night. 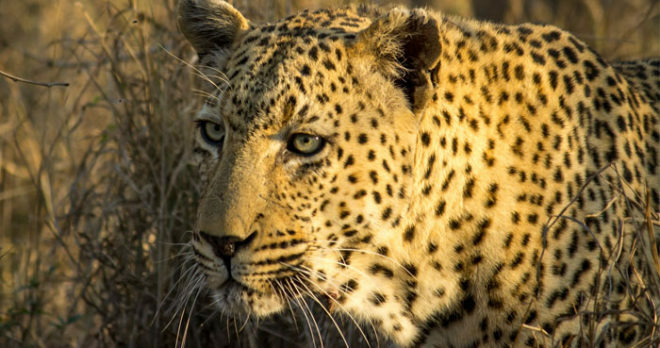 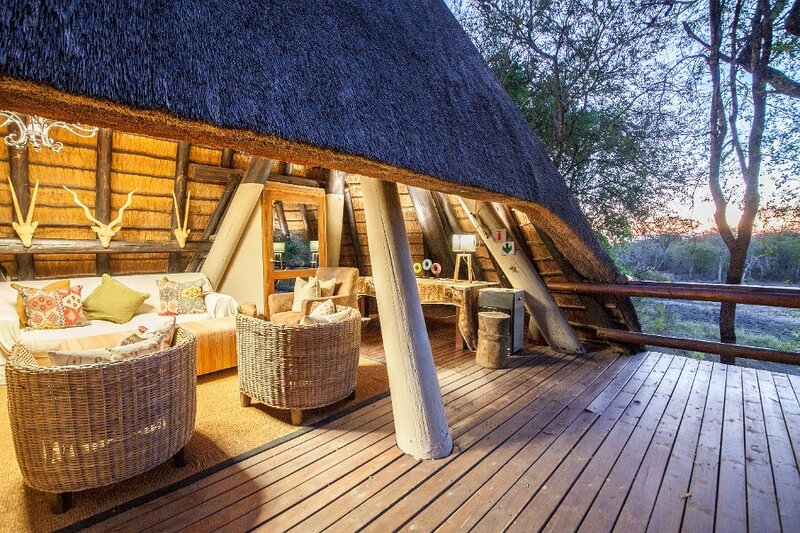 Cheetah Plains is one of the oldest bush camps in the Sabi Sand. 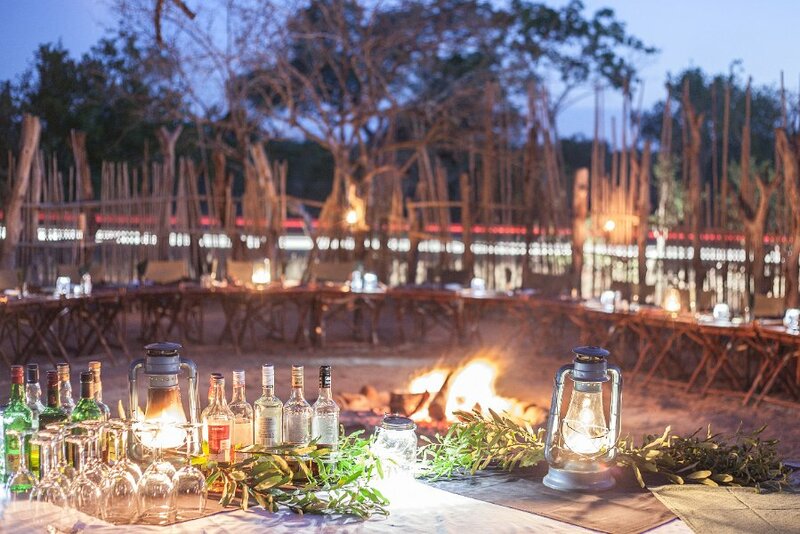 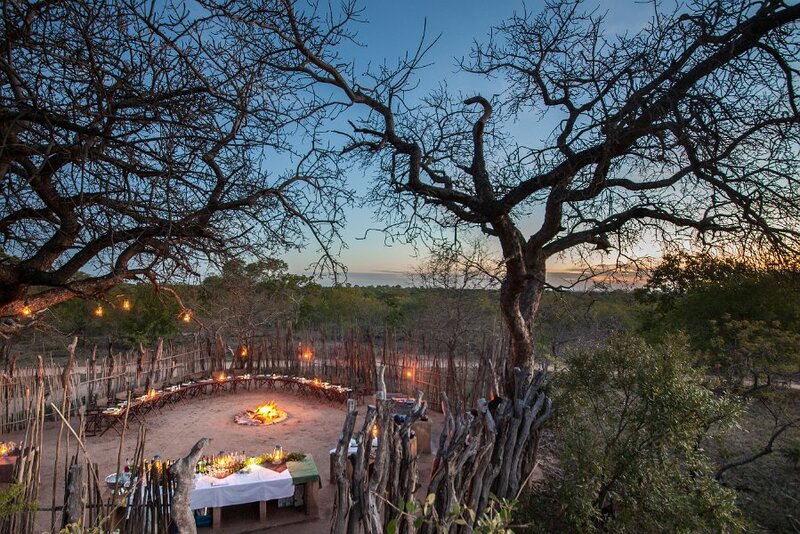 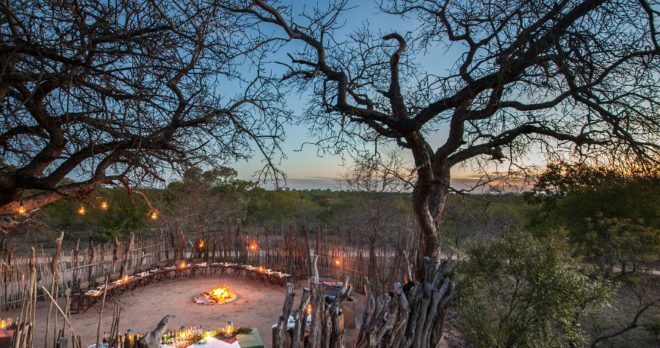 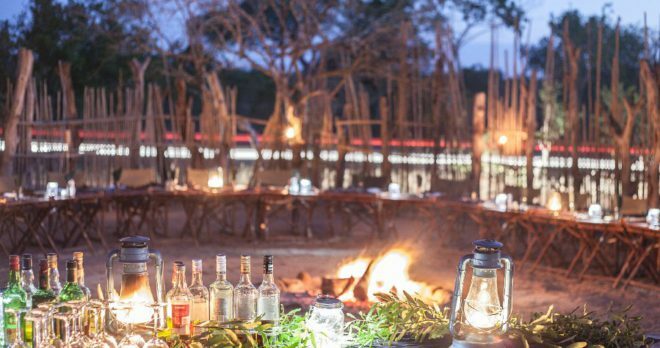 Our emphasis is on offering guests traditional Safari values of comfortable accommodation, combined with great food, prepared around the campfire. 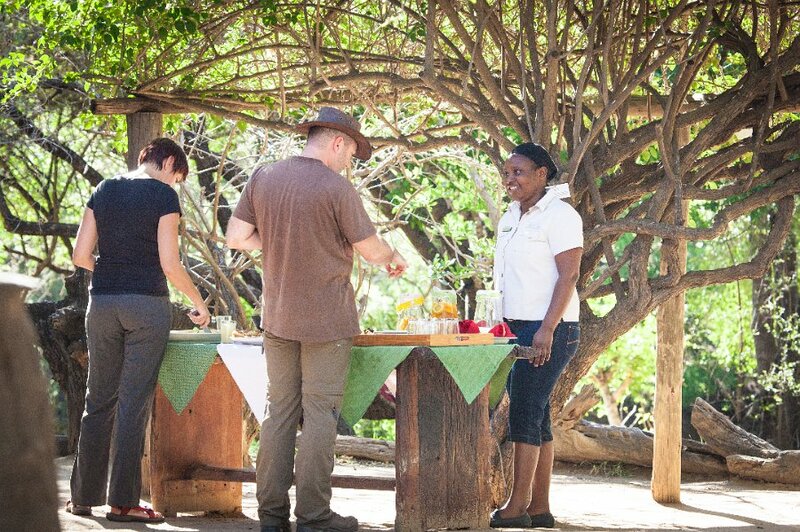 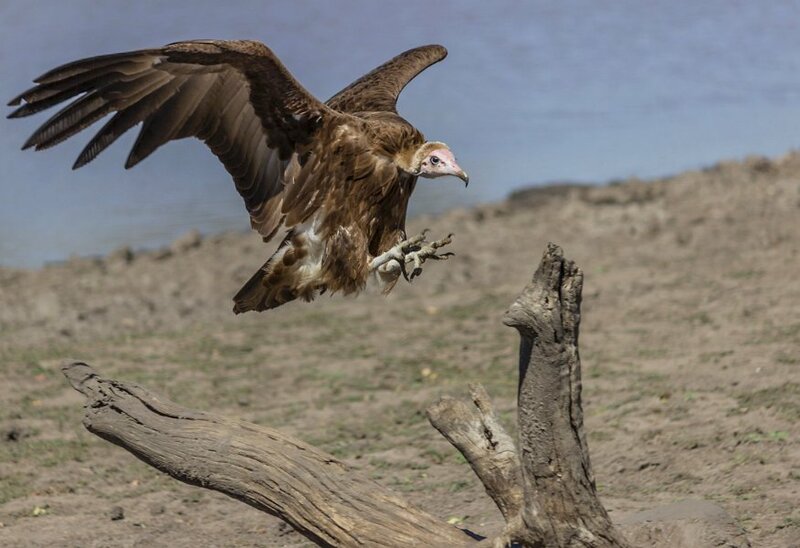 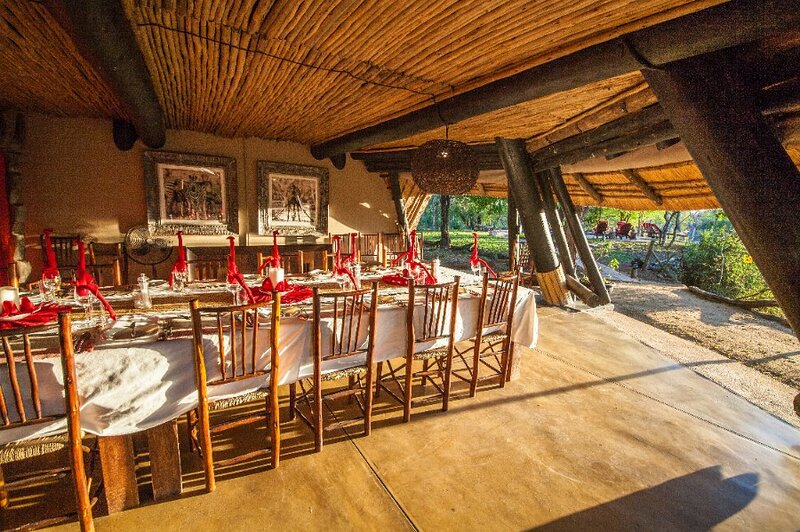 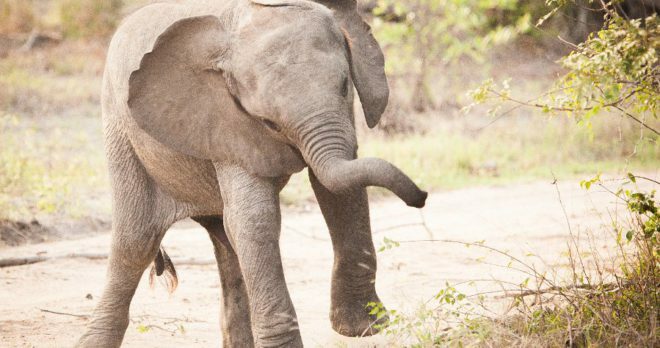 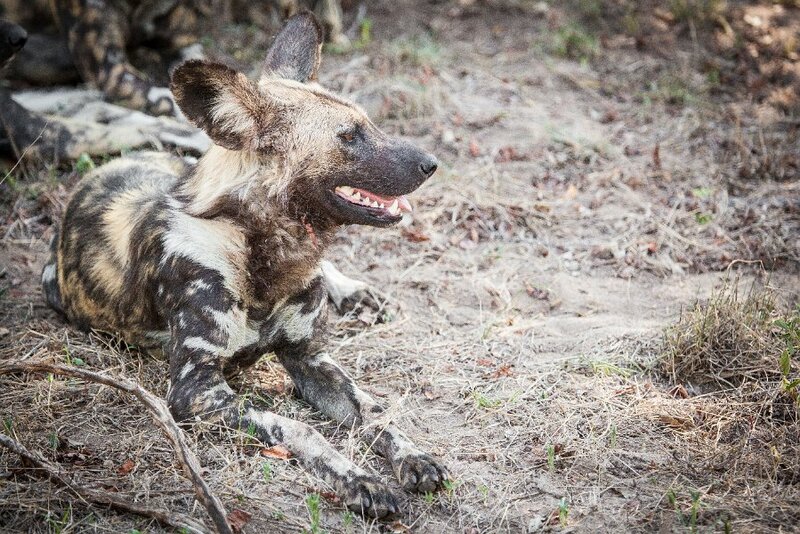 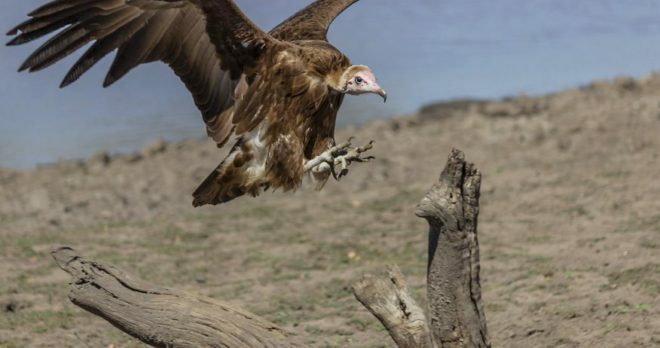 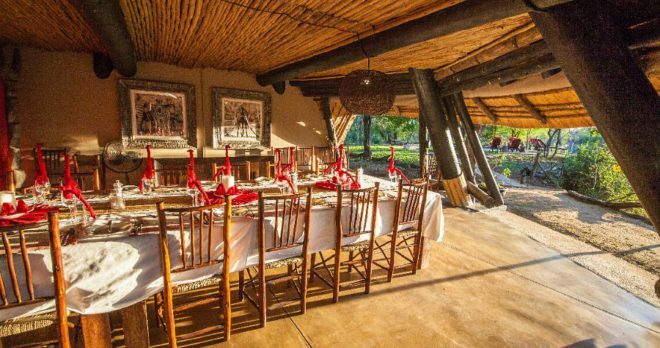 Excellent game viewing on 8 500 ha and friendly attentive staff will round off your safari. 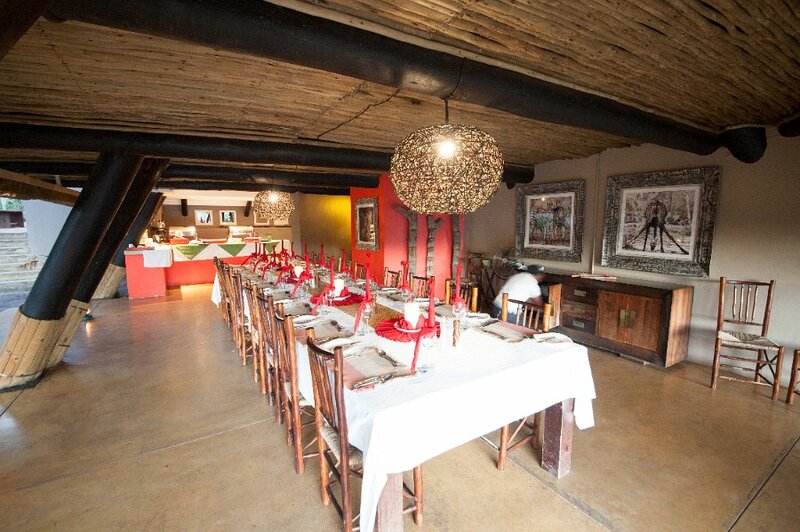 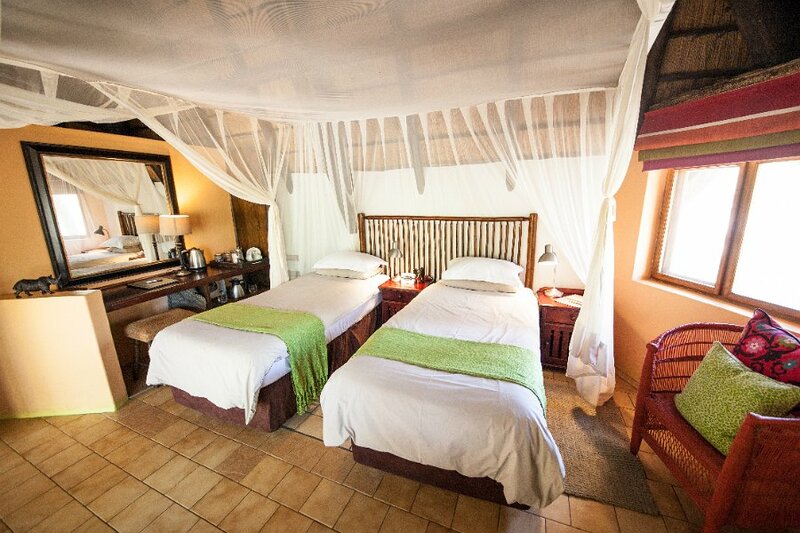 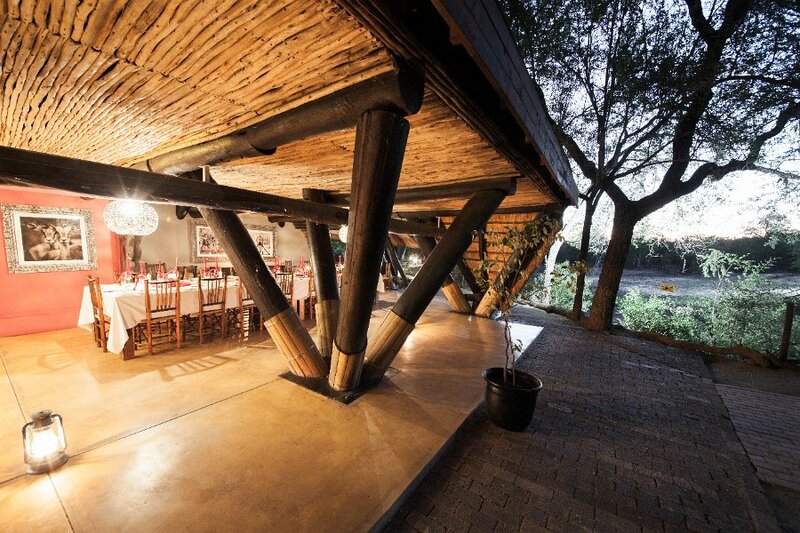 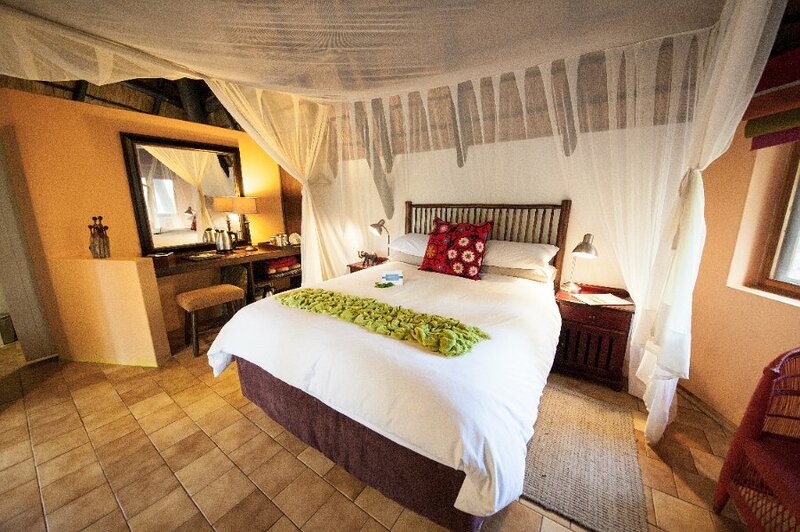 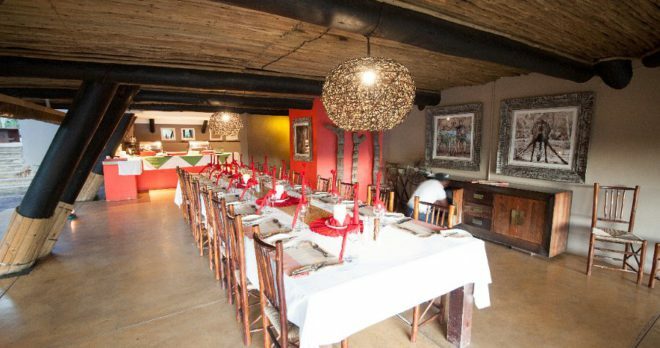 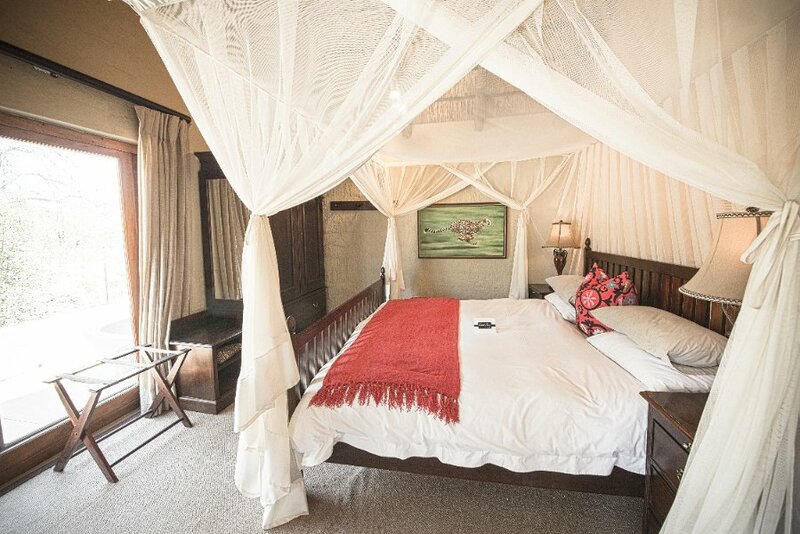 Cheetah Plains has only eight rooms & a Bush Cottage which ensures an exclusive Safari experience. 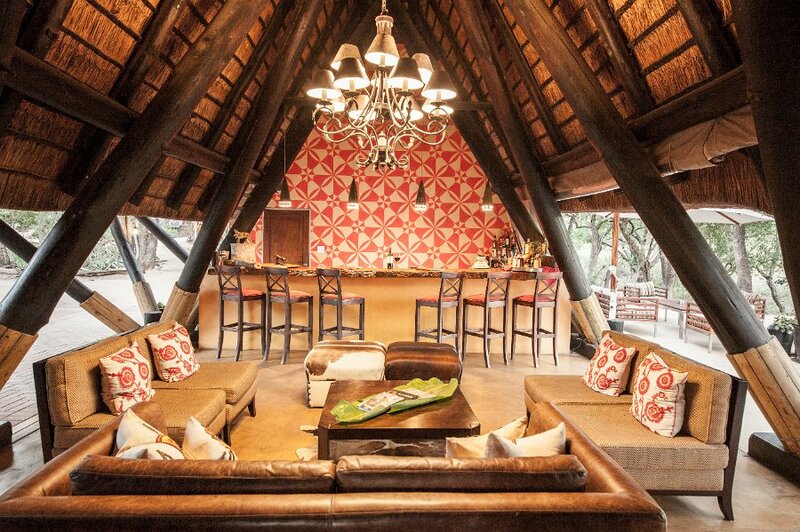 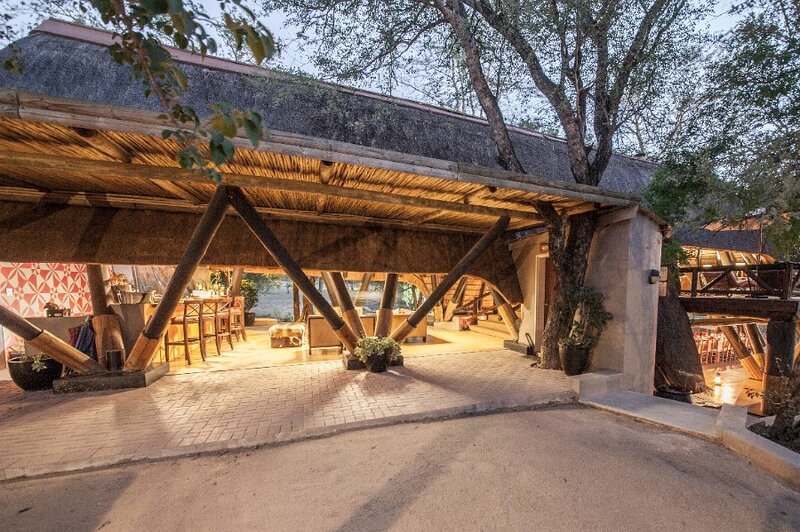 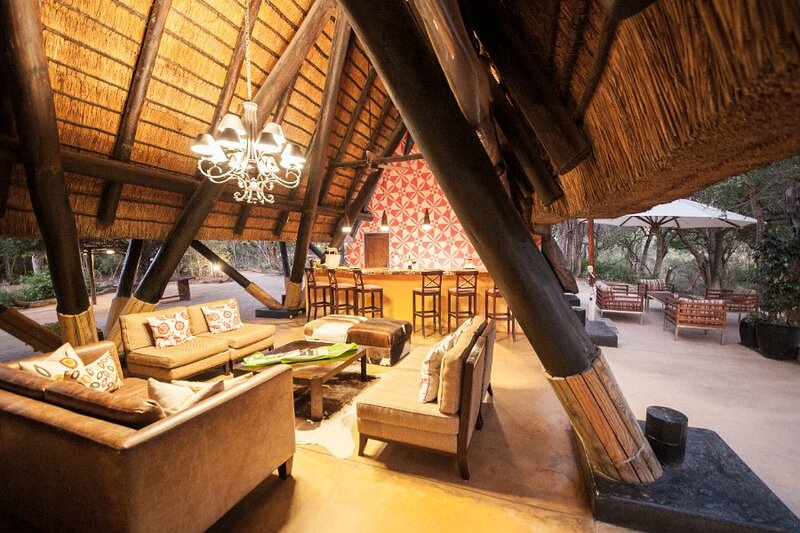 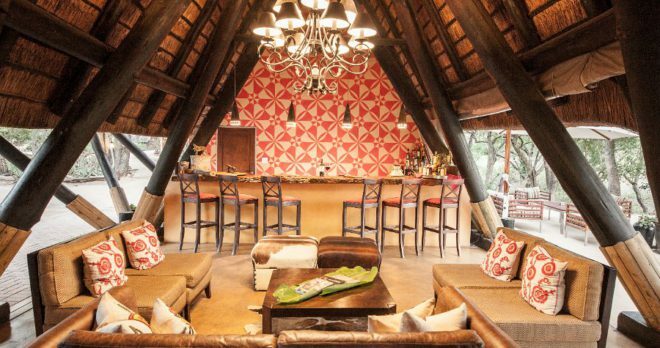 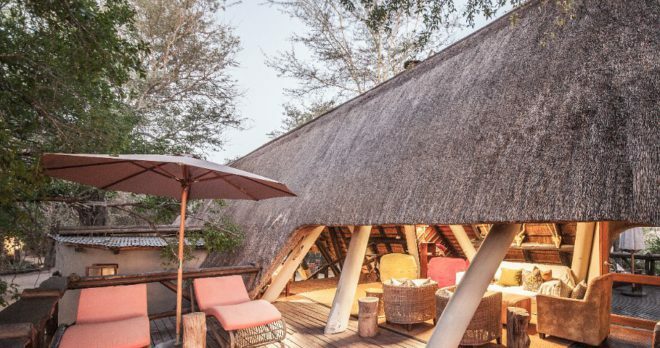 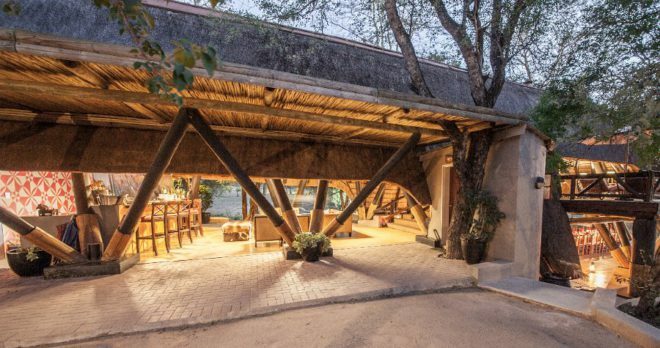 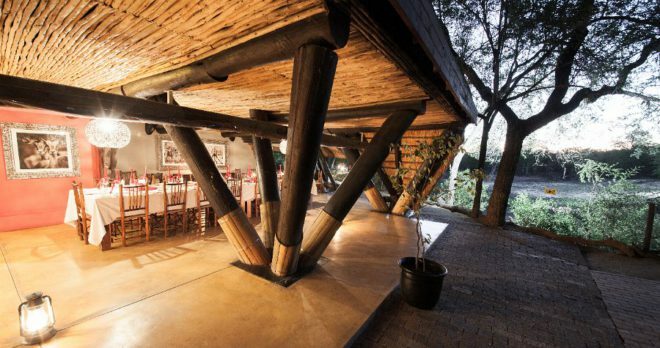 The main lodge is a common area where our guests are invited to put their feet up, reconnect with family and friends, have a cocktail or cup of coffee and simply relax while surrounded by the sights and sounds of the African bushveld. 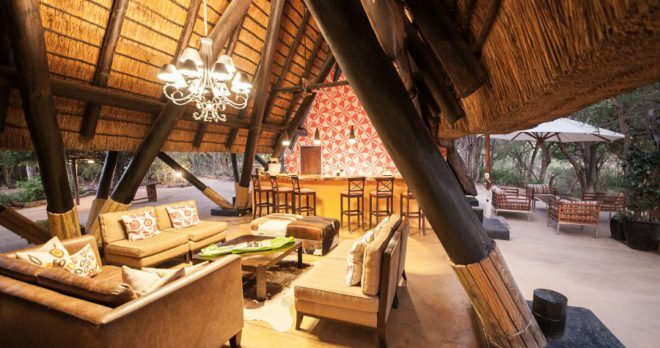 The swimming pool is just a footstep or two away – it’s hard to resist the invitation to take a dip and cool down – and from here you can gaze across the dam, or from the main lounge area, look towards the waterhole where animals and birds come to drink. 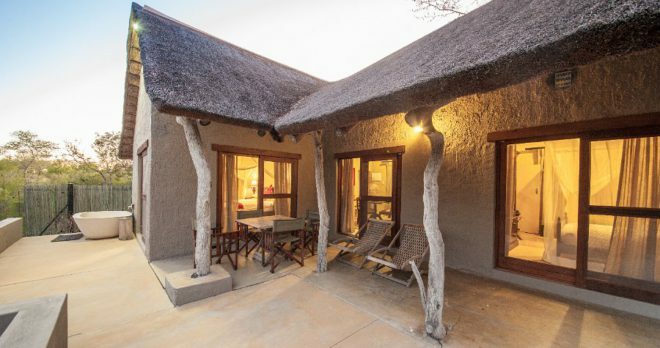 CHEETAH PLAINS: The traditionally-thatched chalets & Bush Cottage at Cheetah Plains melt into beautiful indigenous gardens, which in turn are surrounded by pristine African bushveld. 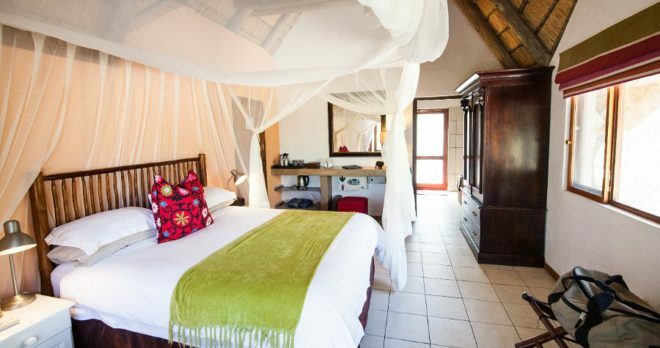 Our style reflects ethnic influences while embracing the best of contemporary touches, creating a harmonious flow between pampered relaxation and the raw South African bushveld. 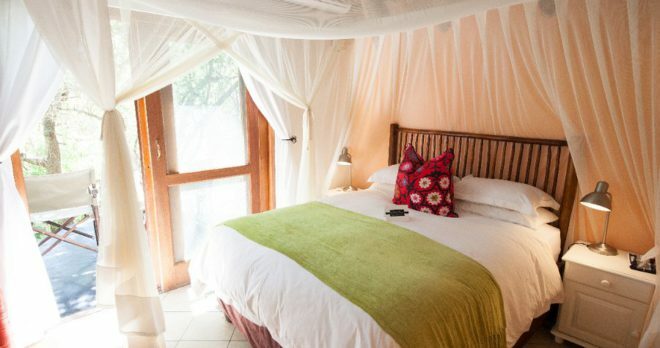 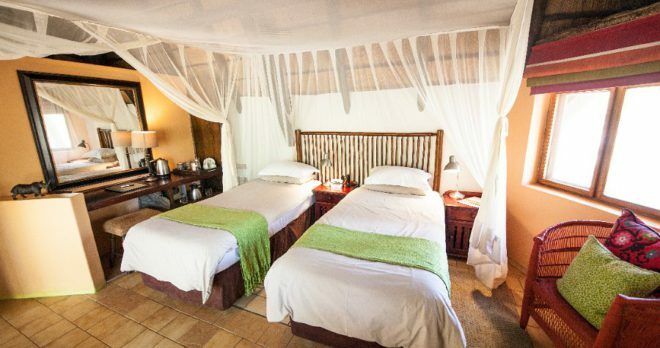 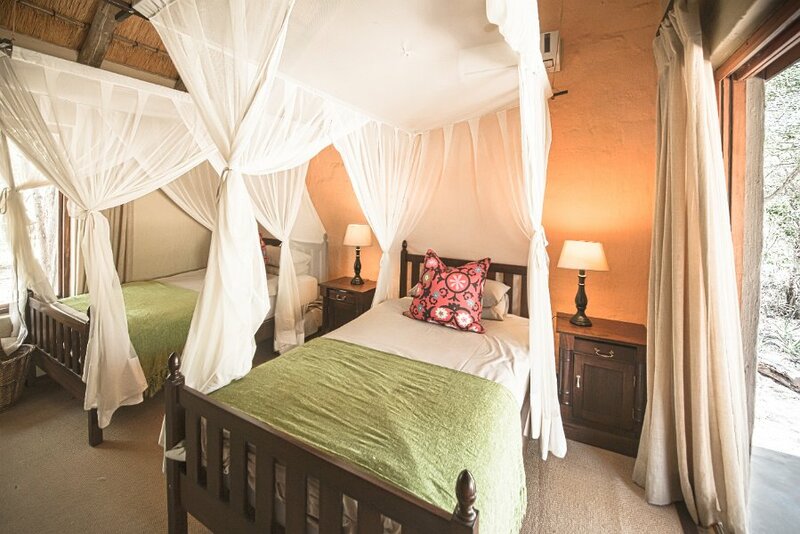 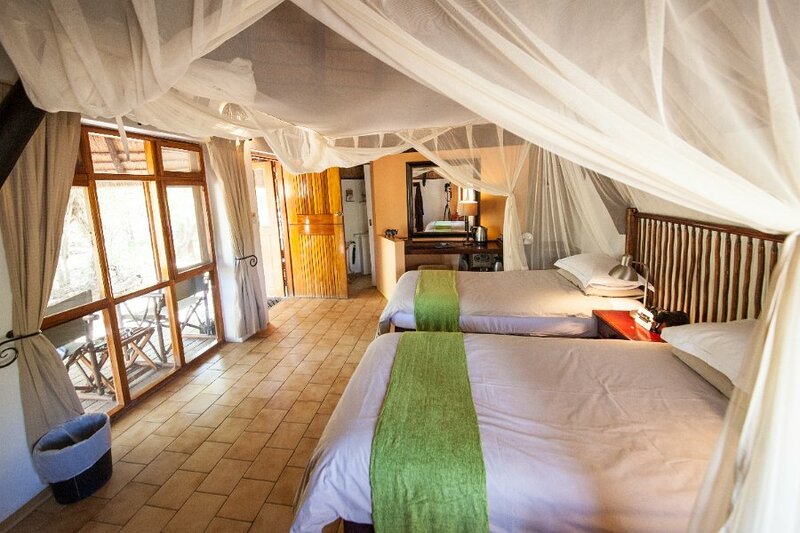 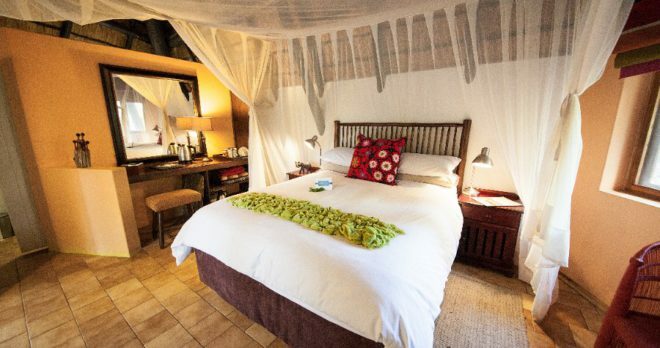 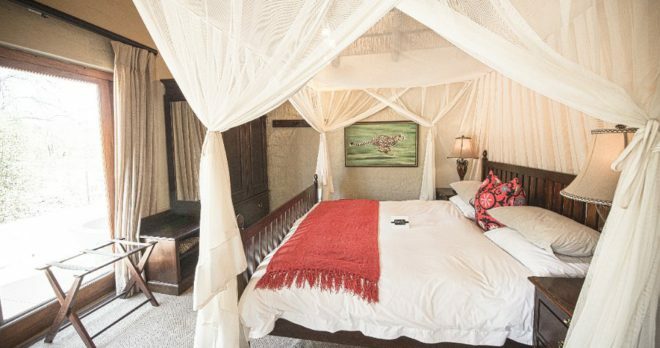 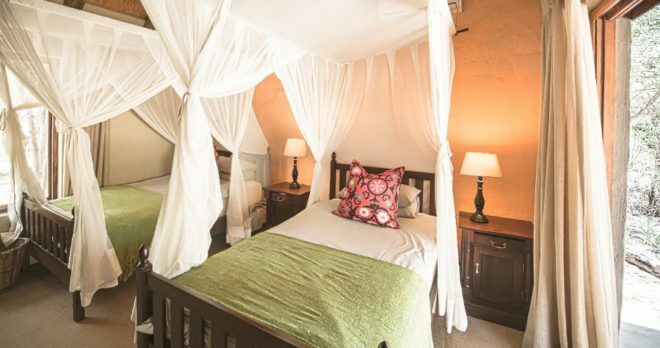 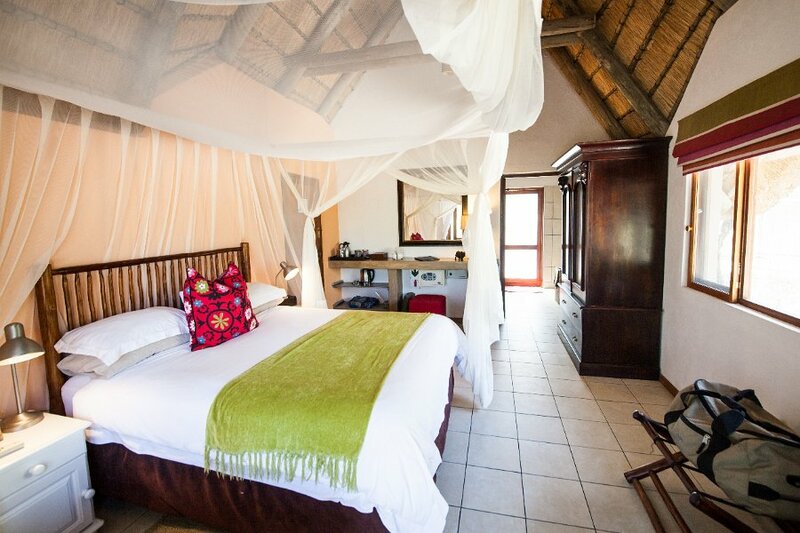 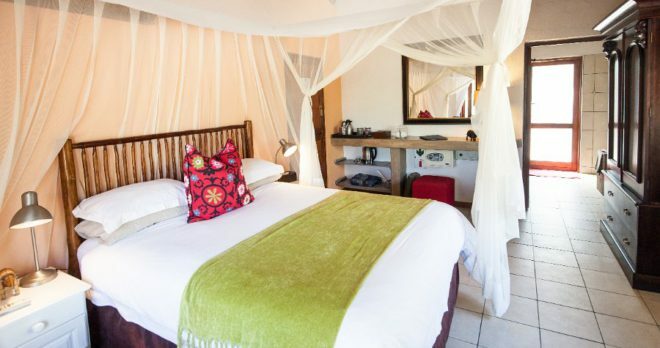 Each individual room has either a double bed or two single beds, an en-suite shower, air-conditioning, mosquito net and verandah overlooking the gardens and the wild African bush. 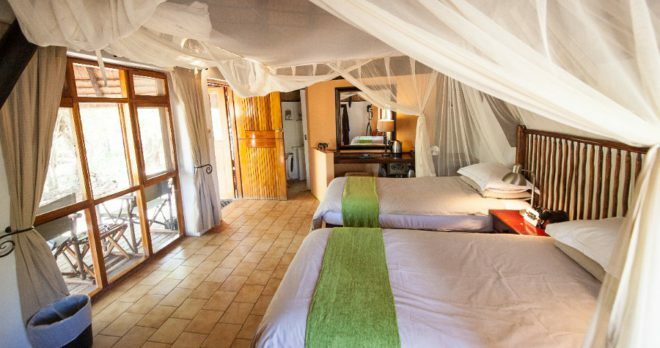 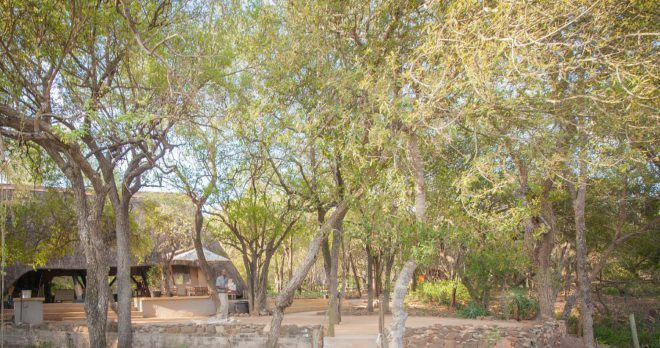 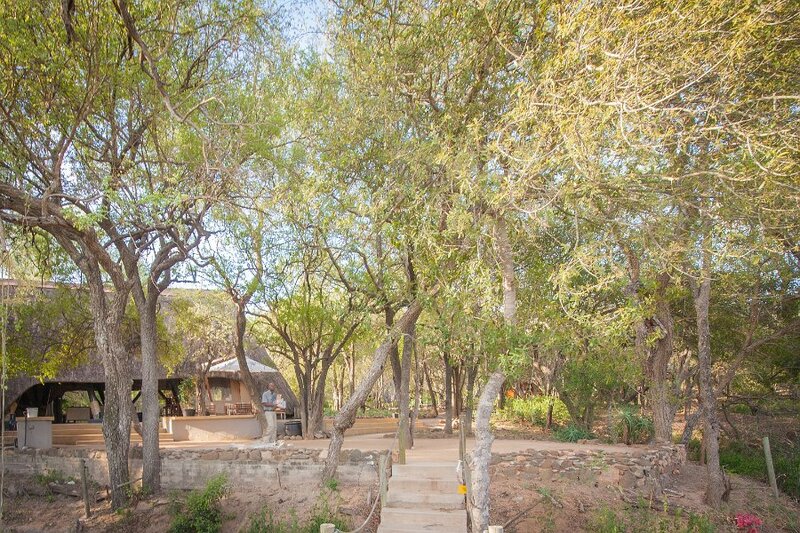 The Bush Cottage has two bedrooms, comfortable lounge / kitchenette area, a shower & bath with separate toilet, mosquito nets, air conditioning as well as a verandah overlooking the surrounding bushveld. 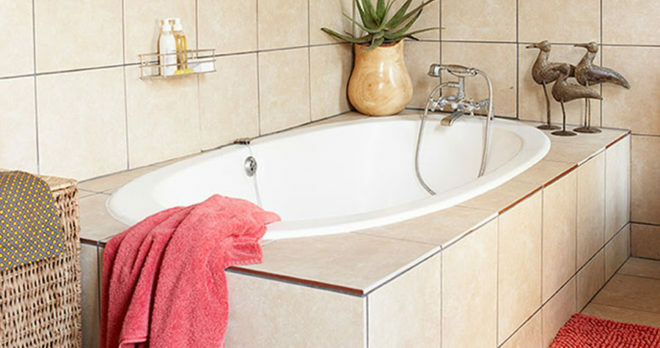 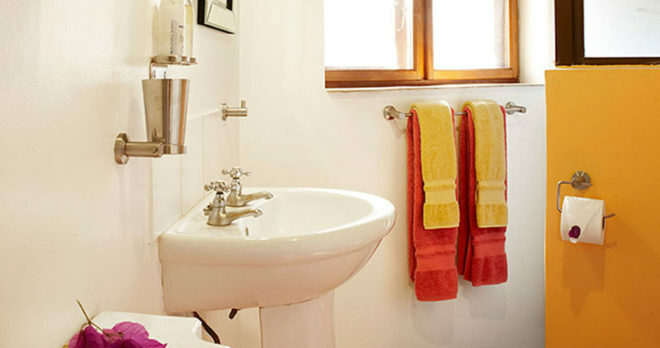 Each luxury chalet consists of an en-suite bathroom with a bath and beautiful outdoor shower. 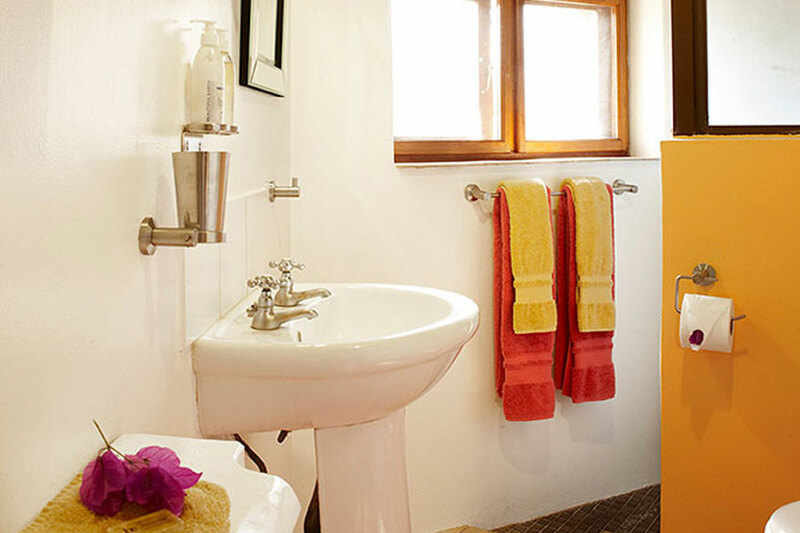 The standard chalets are comfortable and neat with an indoor shower (no bath). 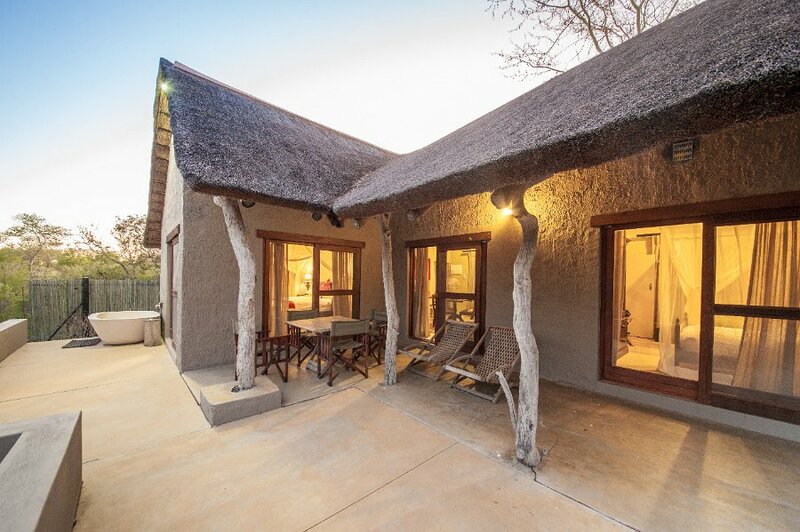 The Bush Cottage at Cheetah Plains offers a “home from home” accommodation solution for up to 4 people – perfect for romantic travellers looking for extra privacy or a family planning a safari. 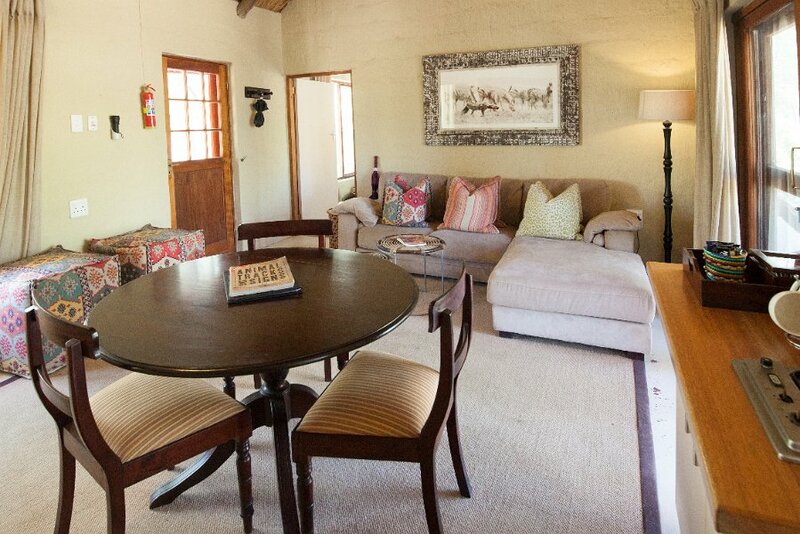 The cottage has 2 separate bedrooms each leading onto the outdoor verandah and into the lounge / kitchenette area inside the cottage. 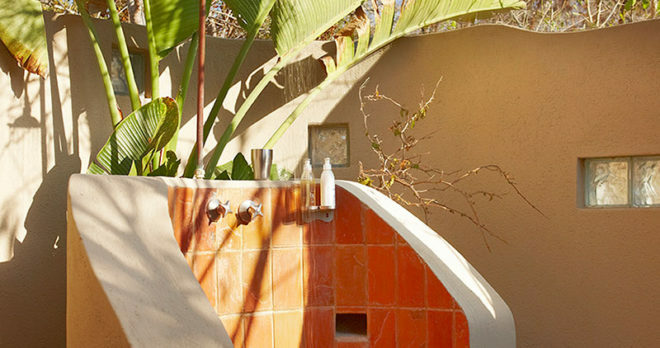 The shared bathroom includes a bath and shower and there is a separate WC leading off the lounge area as well. 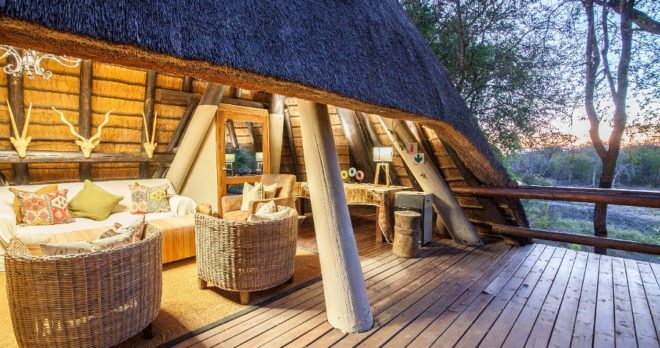 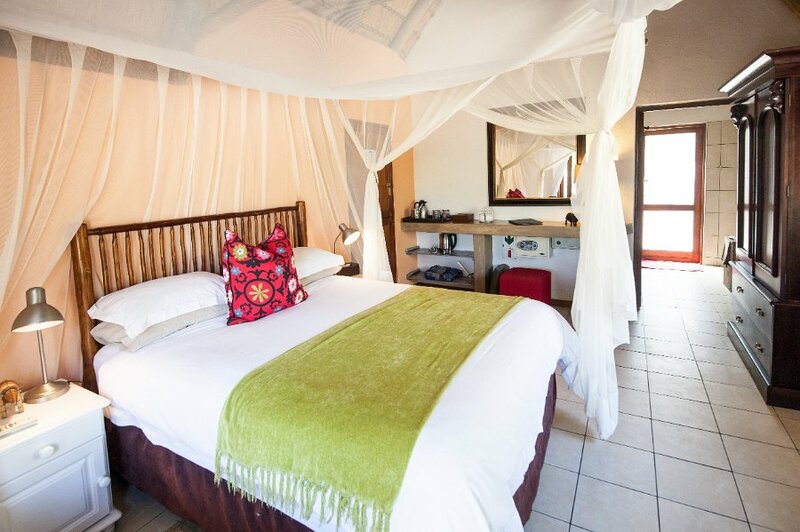 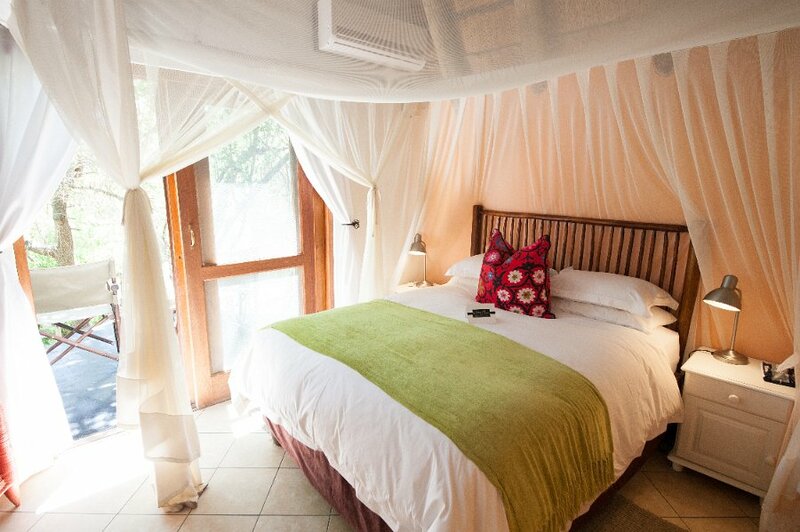 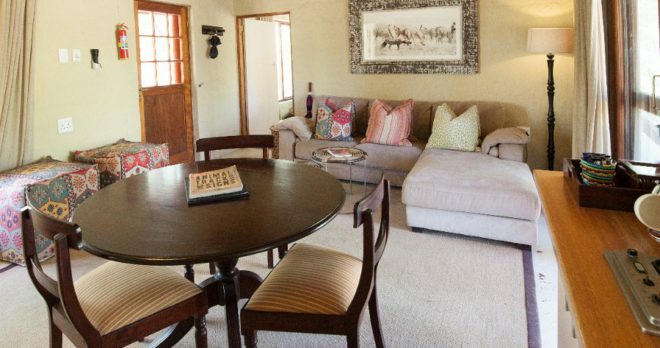 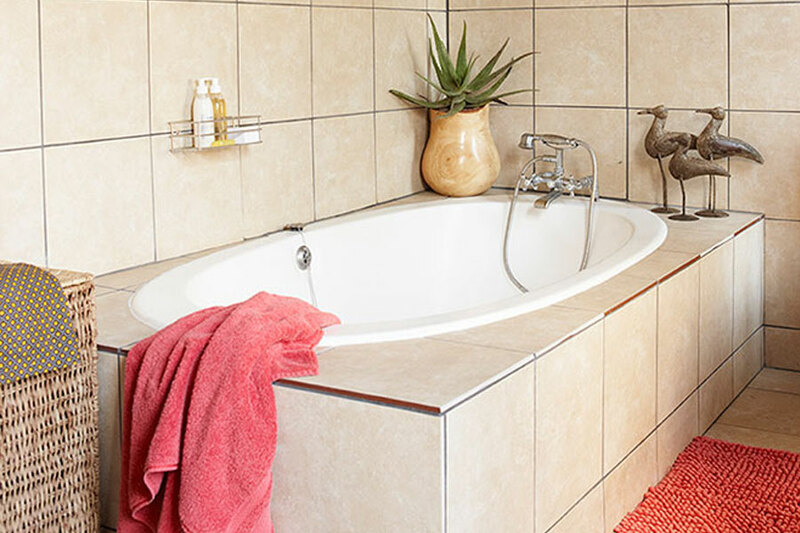 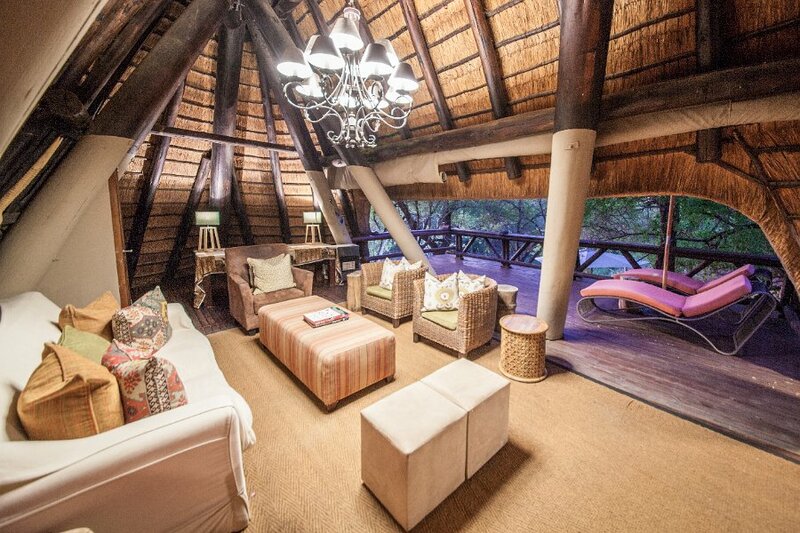 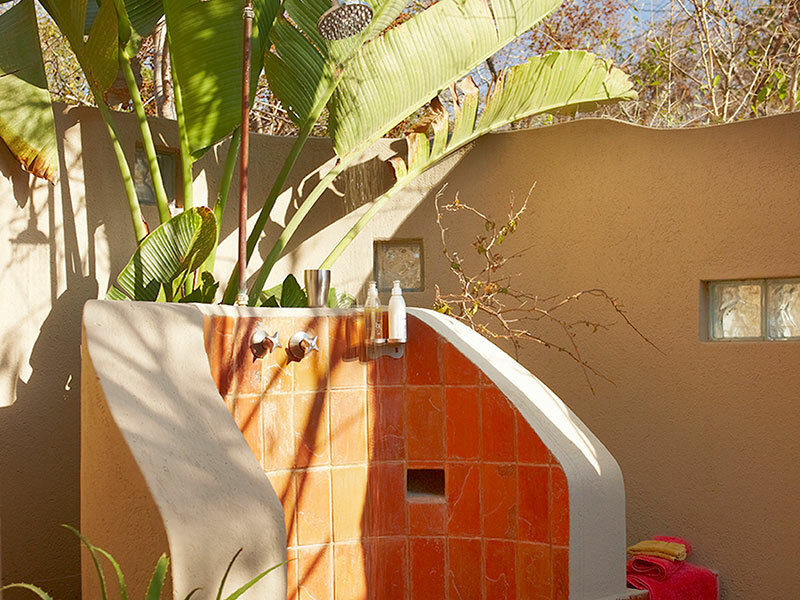 Soak in the views of the surrounding bushveld and feel pampered in your own bush style cottage. 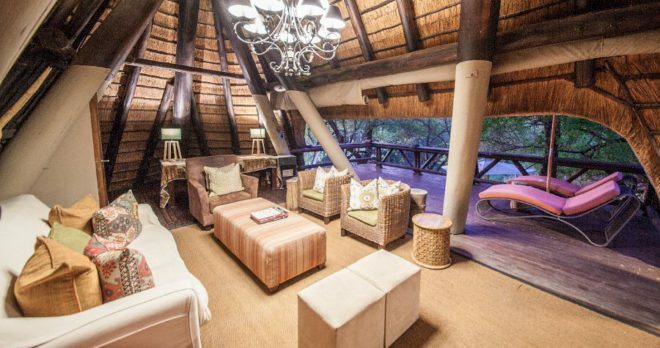 Lazy days can be spent on the verandah looking into the surrounding bushveld or just listening to the birds’ glorious melodies. 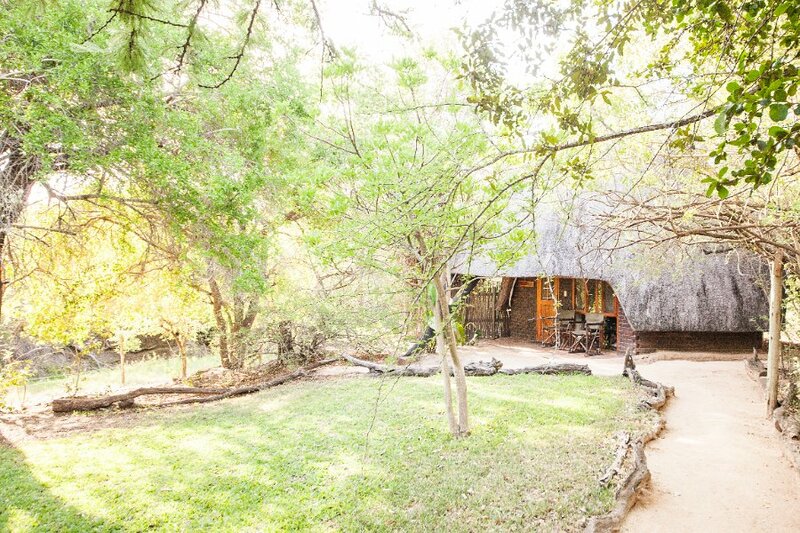 The cottage is situated within the perimeter of the main lodge and boasts a fully electrified fence around the cottage itself, ensuring no predators can pay you a visit and share your verandah! 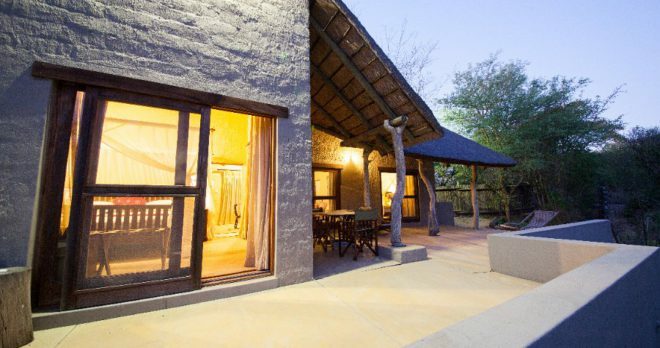 A short walk will take you to the main lodge facilities, pool area & reception where you will feel very much part of the relaxed & friendly Cheetah Plains environment. 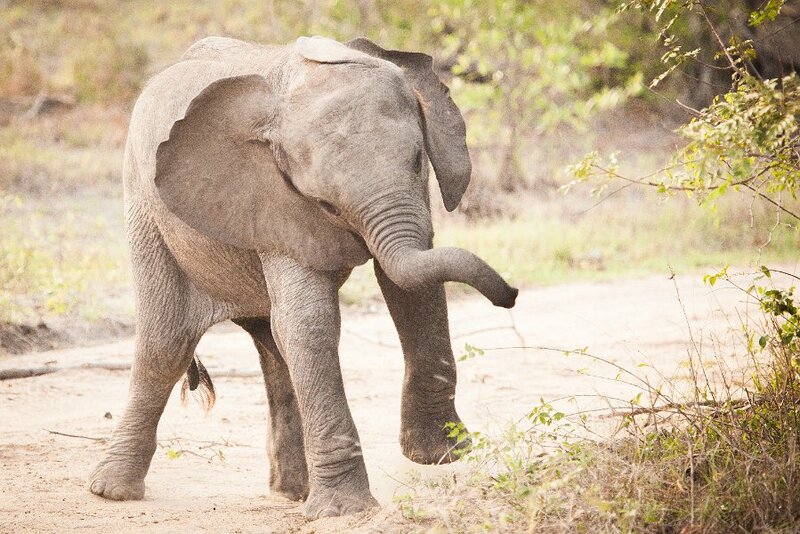 We will remember this trip forever!! 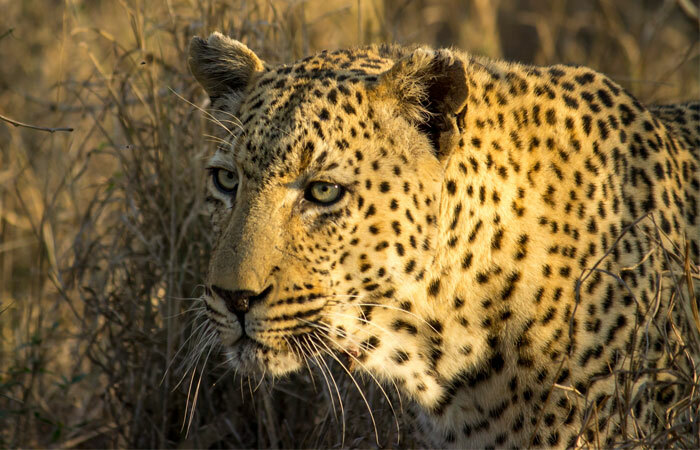 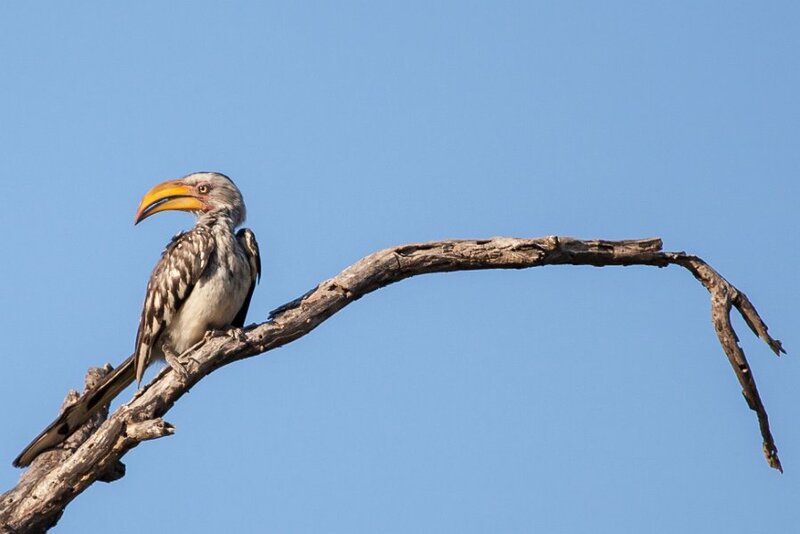 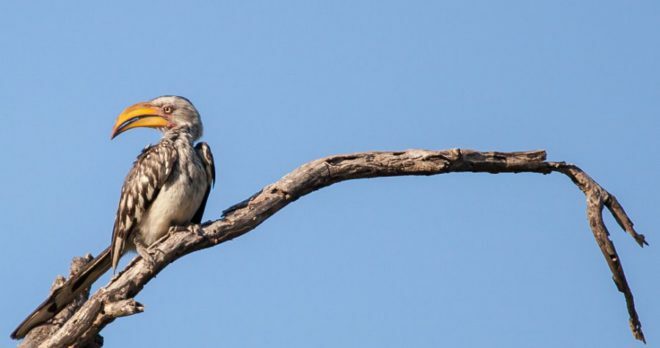 Been to the Kruger Park before but here the quality of the guides & trackers was unbelievable – from the Big 5 through click beetles & termite mounds to seemingly every type of grass that grows there – so it was a uniquely educational experience too. 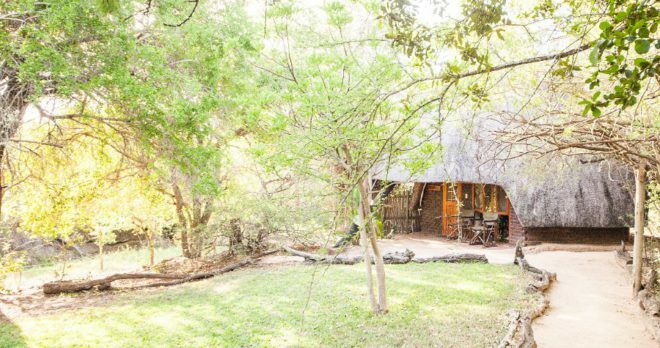 The food, the general atmosphere & the whole environment, comfort & layout at the lodge were just perfect to relax & feel at one with Africa! 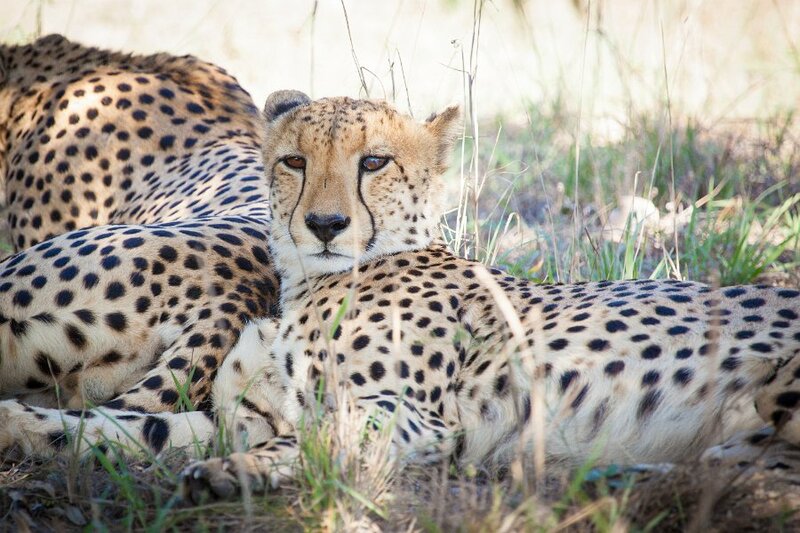 Thank you to all the staff of Cheetah Plains you are all fantastic. 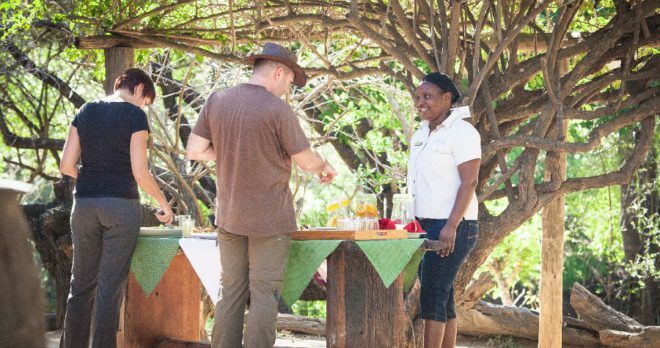 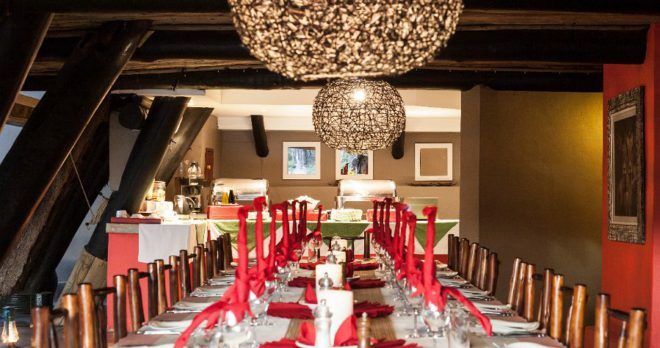 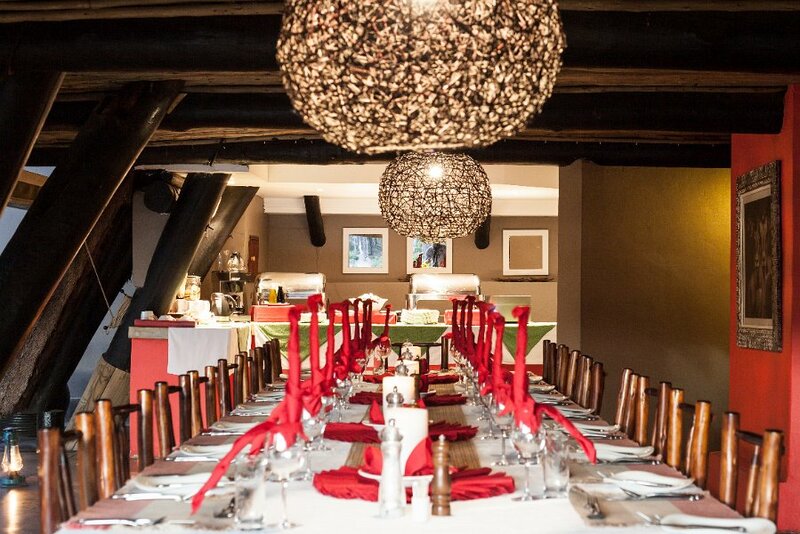 The family atmosphere and interaction with the guests was perfect, meals have been a great experience and getting know all the other guests that in another place you would never talk to. 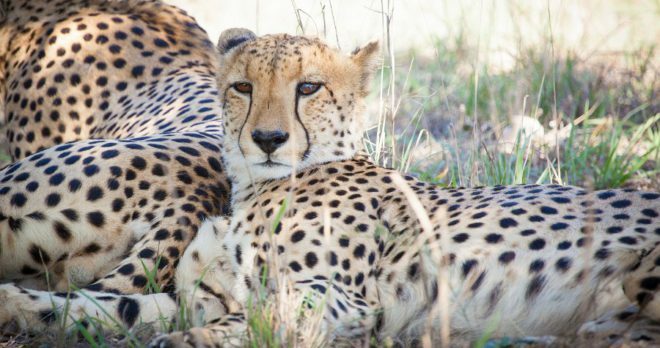 We made some great friends during our stay.